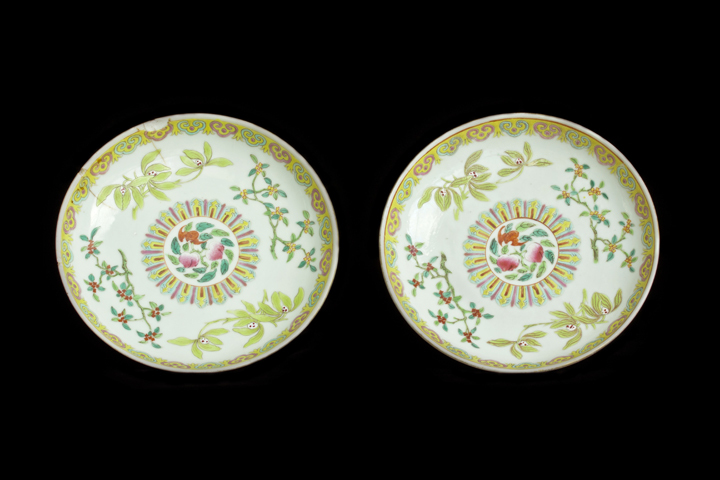 Appraisal: This pair of high-stem dishes was made in Emperor Guangxu period of Qing Dynasty. 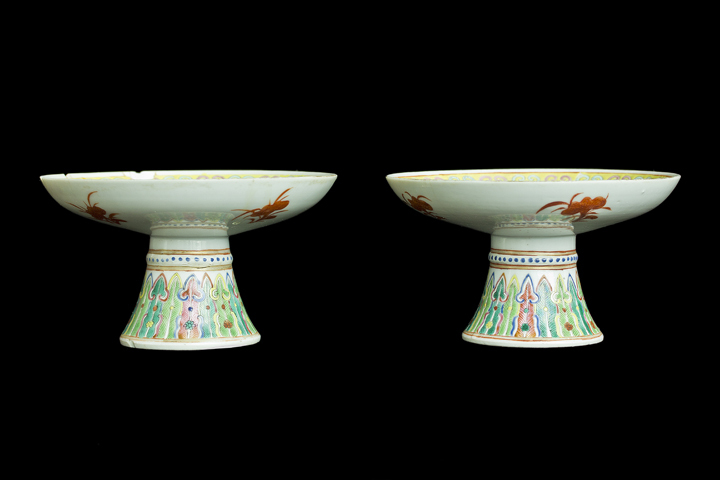 Its artistic style contains the quality of those porcelains made from the official kilns. 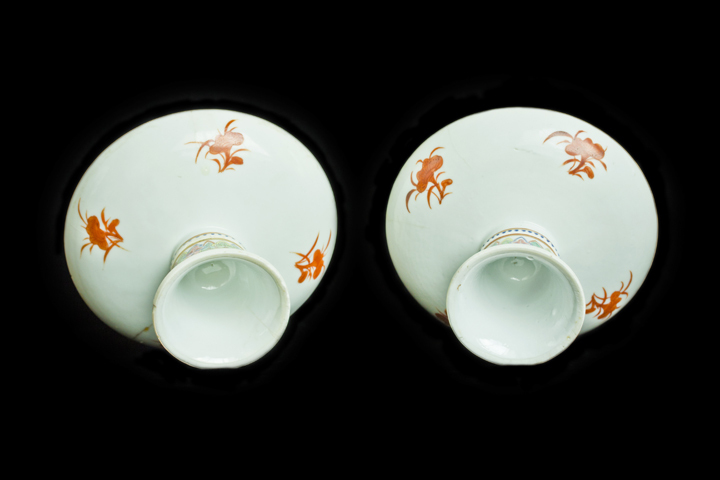 The porcelain texture is extremely delicate and fine, color is simple and elegant, and painting is vivid. 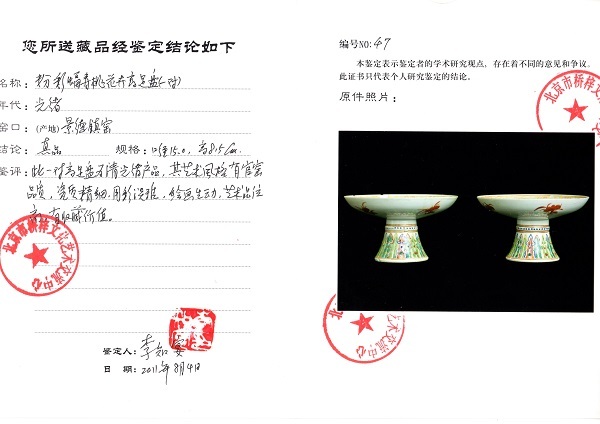 It contains very high artistic taste. Highly collectible.